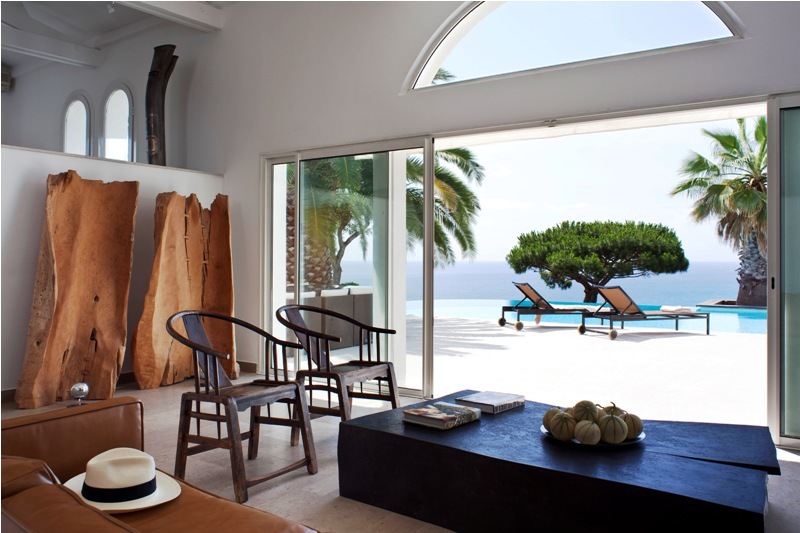 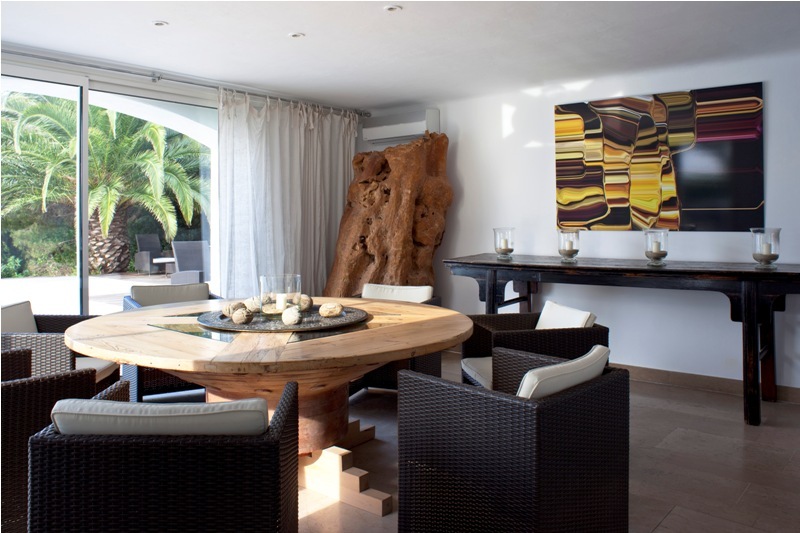 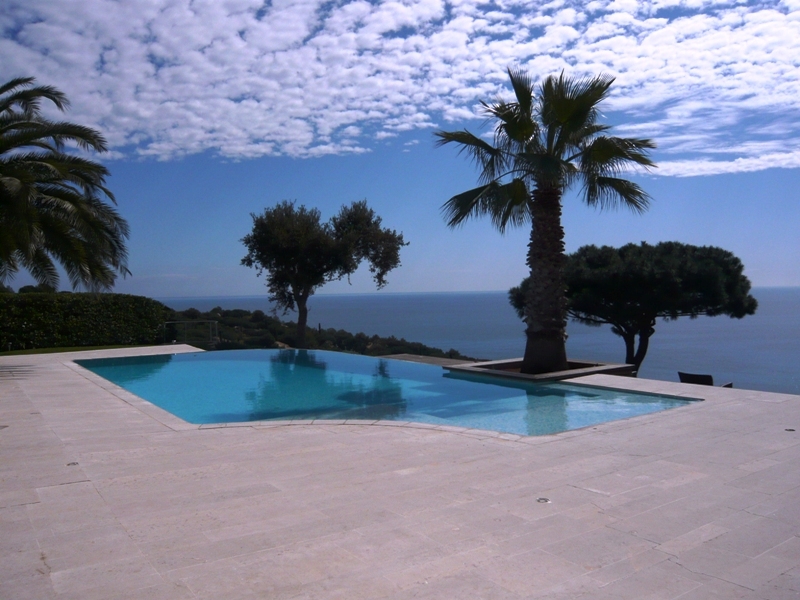 This luxury villa has a stunning panoramic view of the Ramatuelle coastline, the turquoise sea and the rocky coast line. 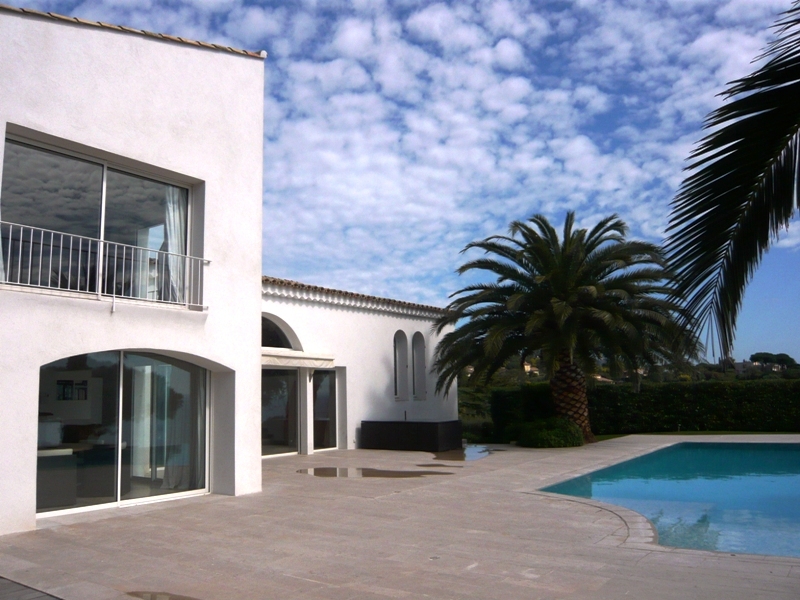 It is 500m from the beach, a short walk downhill. 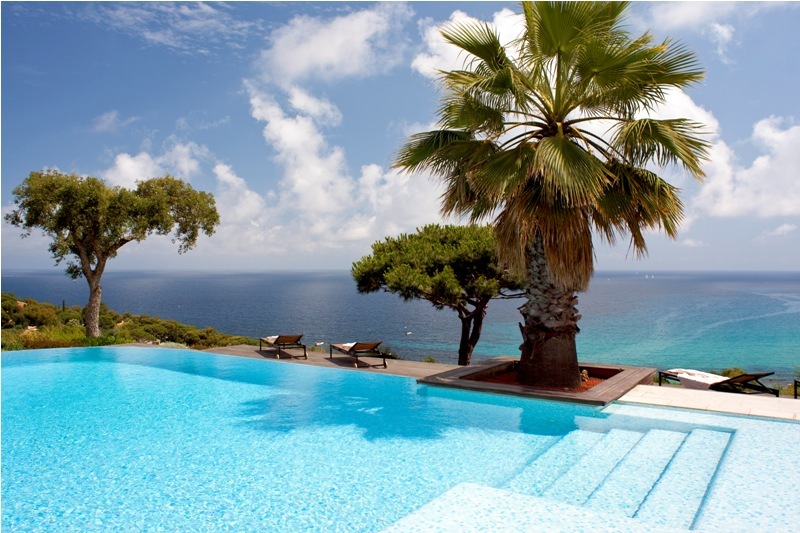 The villa is in a quiet residential area with some discreet neighbors, surrounded by a garden with pine trees and giant palm trees. 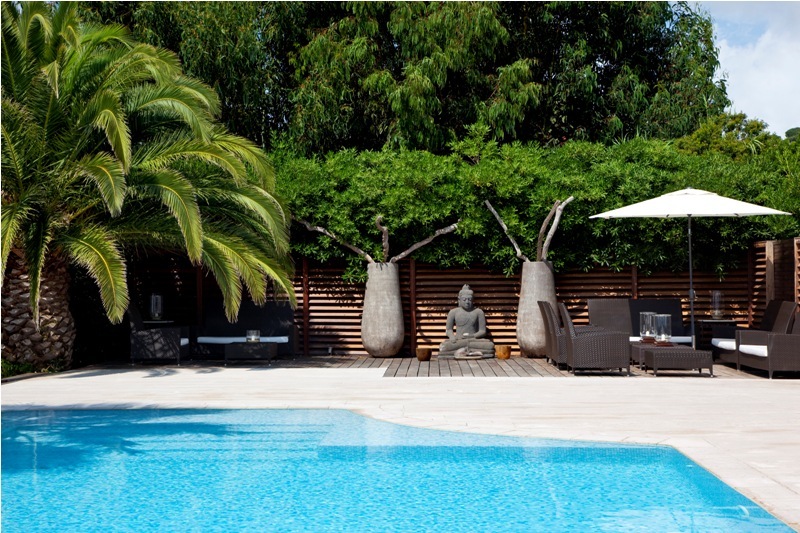 You are a 5 minute drive from the beach clubs such as Club 55 and Nikki beach, close to the private airports, and have easy access to the motorway, avoiding the heavy traffic of St Tropez centre. 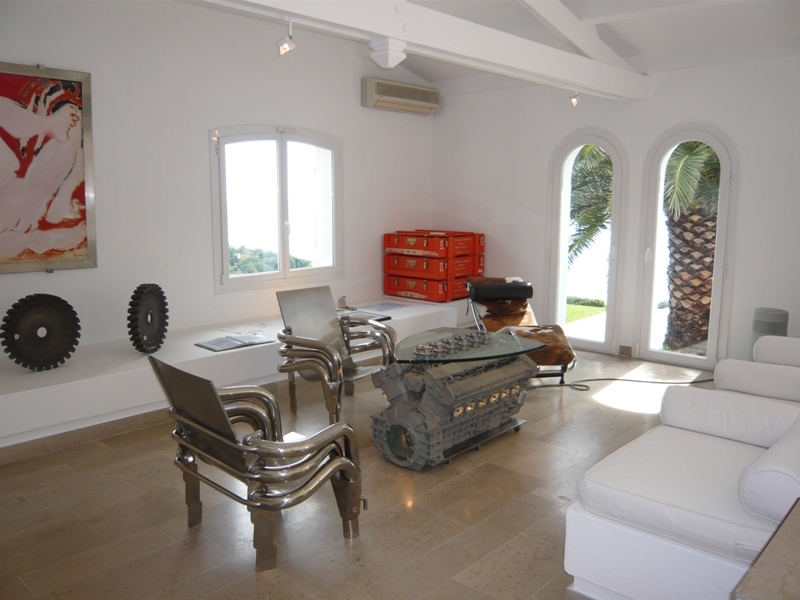 The design of this rental villa is modern, with large bay windows, and a master bedroom on a floor of its own. 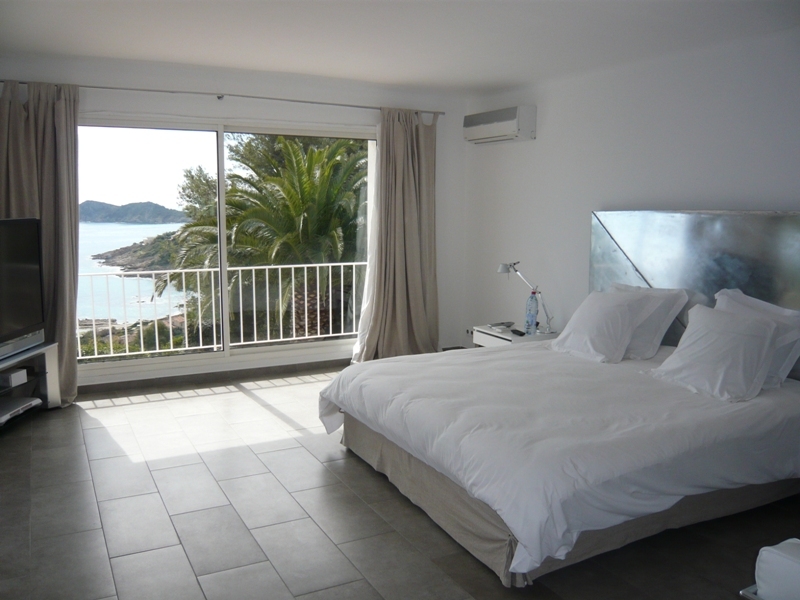 There are three bedrooms all with sea view. 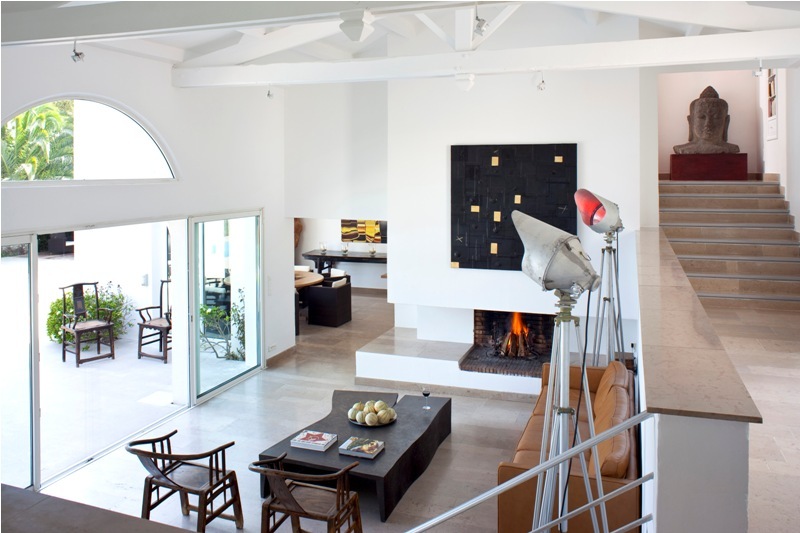 The decoration of this villa is refreshing and exceptional. 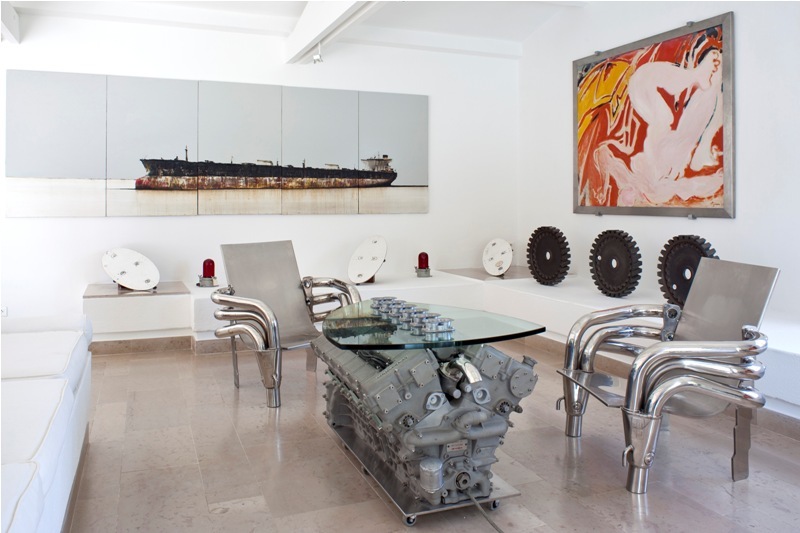 It is composed of a collection of objects collected by the owner, including pieces of Concorde turbines, chairs made from boat exhaust pipes, and Buddha heads from Bali. 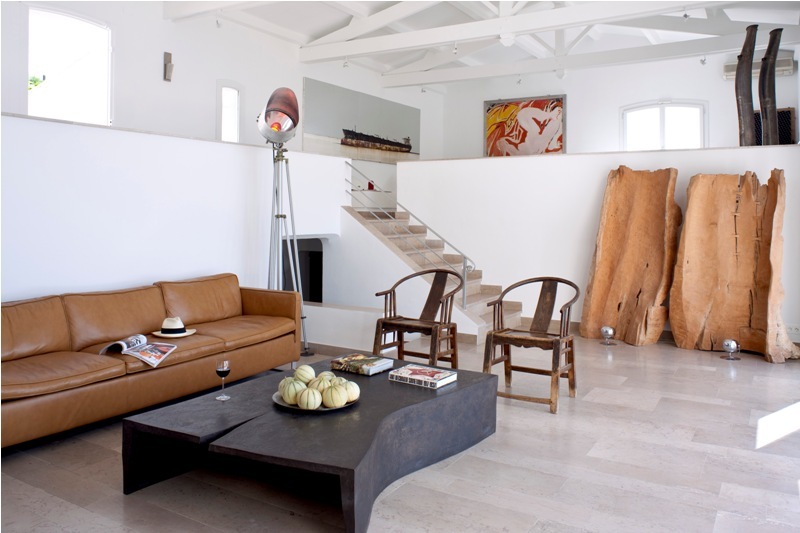 Also to be found, some furniture from Le Corbusier, and pieces of metal the Atomium in Brussels (Universal exhibition 1958). 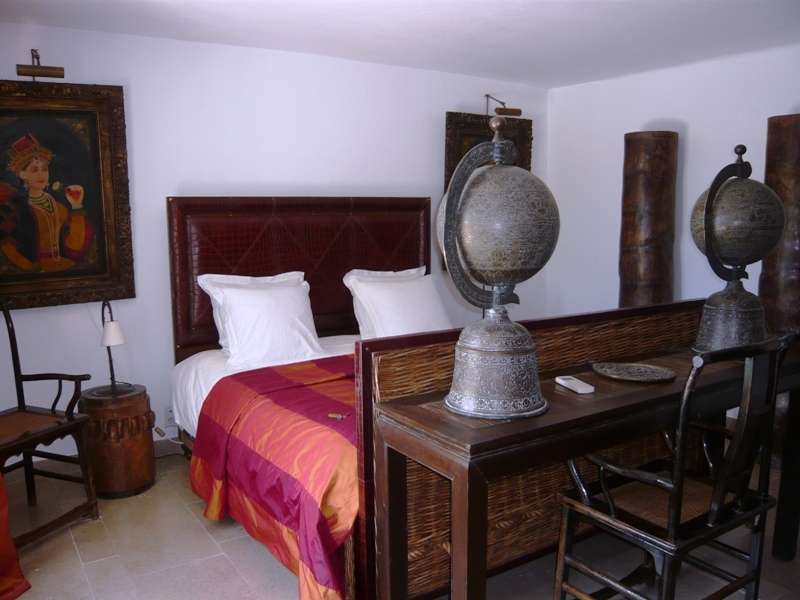 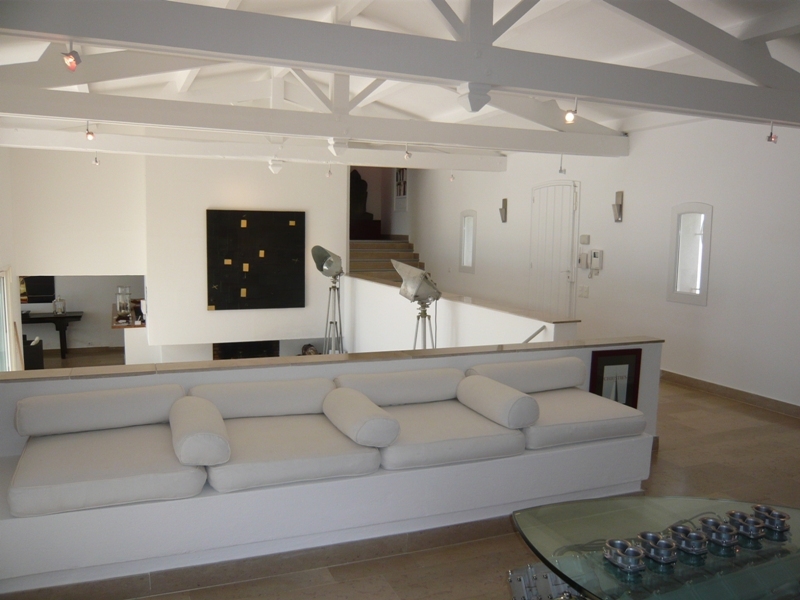 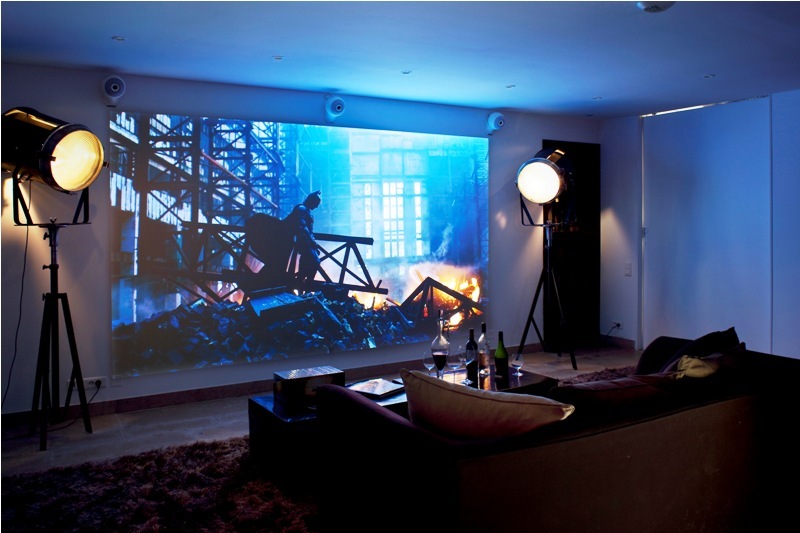 The villa has a large terrace, for outside dining or partying and a cinema room with lighting from a film studio. 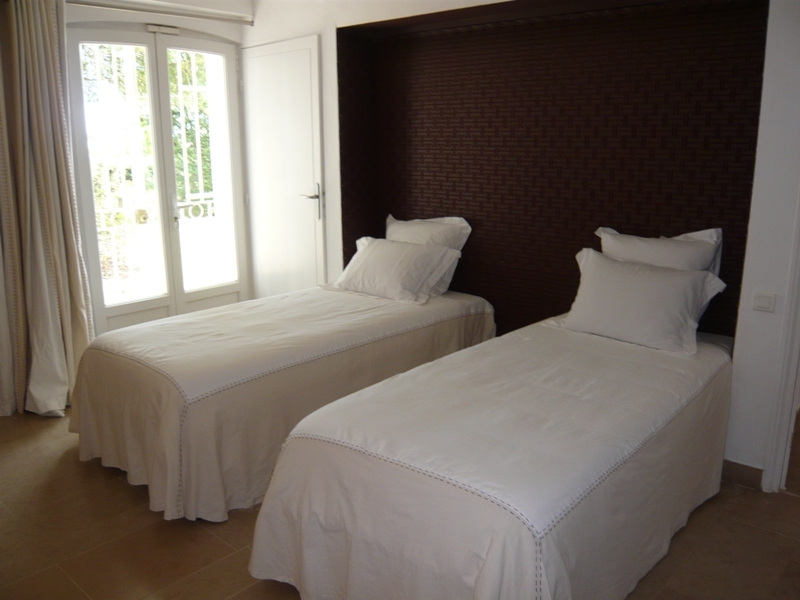 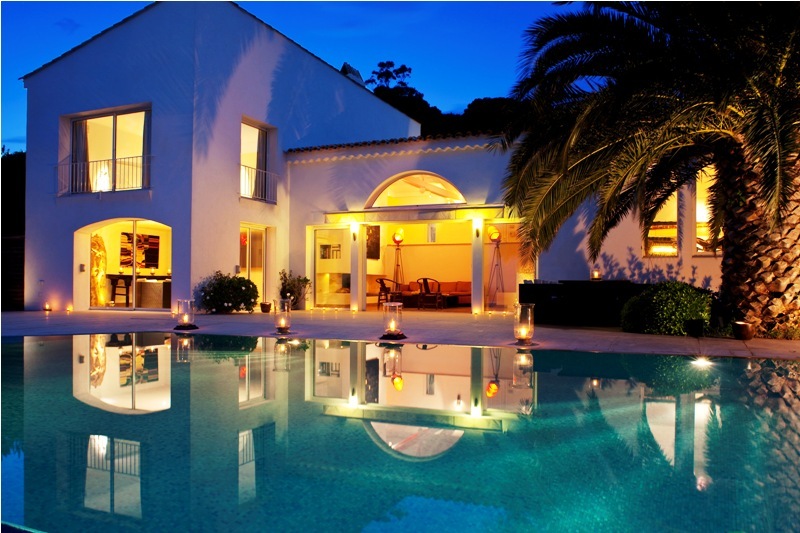 Ideal for a family or group of friends wanting to relax and not be that far from St Tropez.